AA Safety and Workwear offer the best possible overalls and coveralls that are guaranteed to be reliable, efficient and reasonably priced. 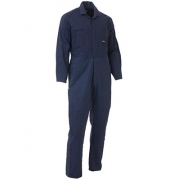 Overalls are best applicable for works in dusty and dirty areas where there is great risk for having ruined clothes. Overalls can protect you from potential dangers of spillage as well as lets you save time and effort because it prevents you from washing your stained uniforms every night. Industrial, construction and manufacturing companies are the ones that can benefit most with overalls and coveralls. 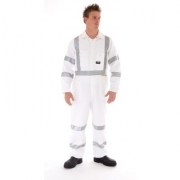 Do not let your workwear affect your performance by choosing our overalls and coveralls.